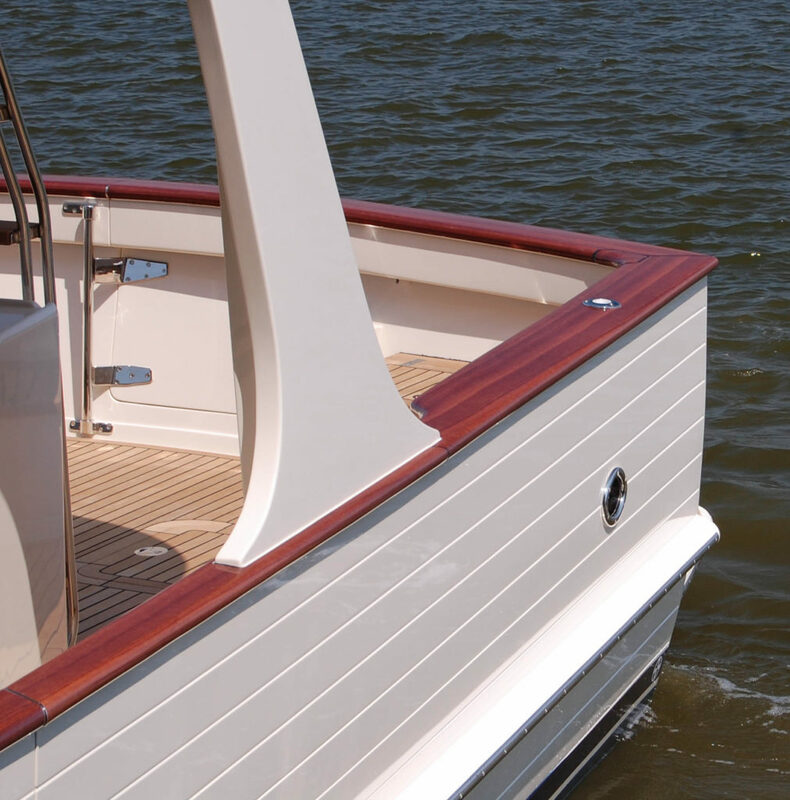 The common yachtsman is probably not familiar with the term “burrwood”, however to Fleming Yachts this word is quickly becoming synonymous with the brand itself. 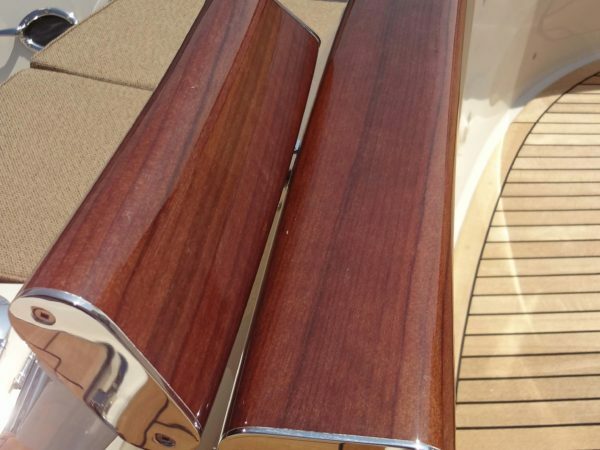 Starting with hull number one, Fleming has incorporated teak wood for the exterior rail capping. 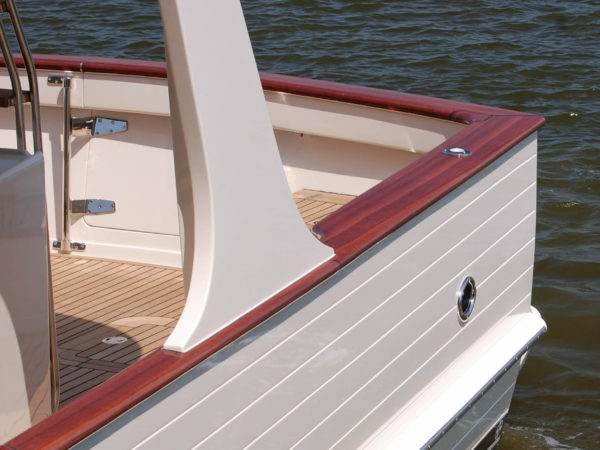 This has always been a standard among the various options the boat has to offer. 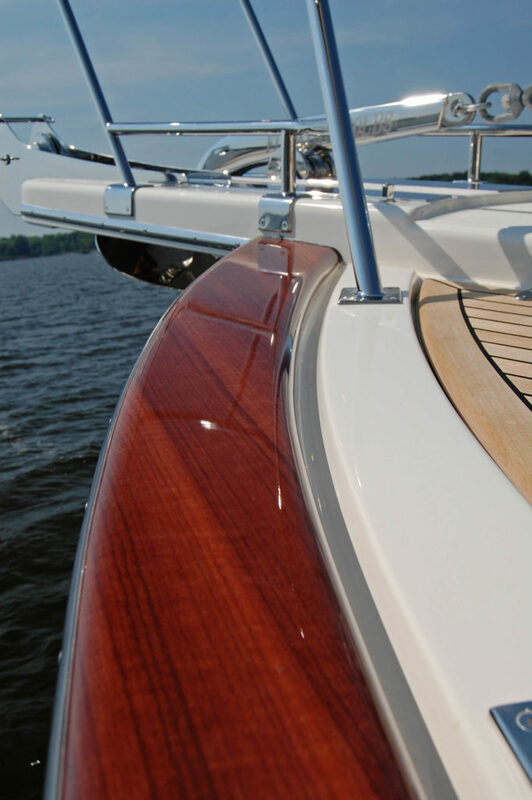 While teak has been a beautiful mainstay for years, burrwood presents another option. 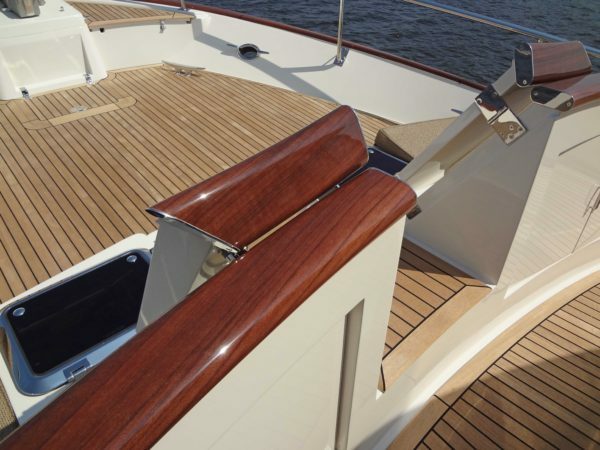 Constructed with fiberglass and resin; this alternative retains the beauty of teak while vastly improving upon durability. 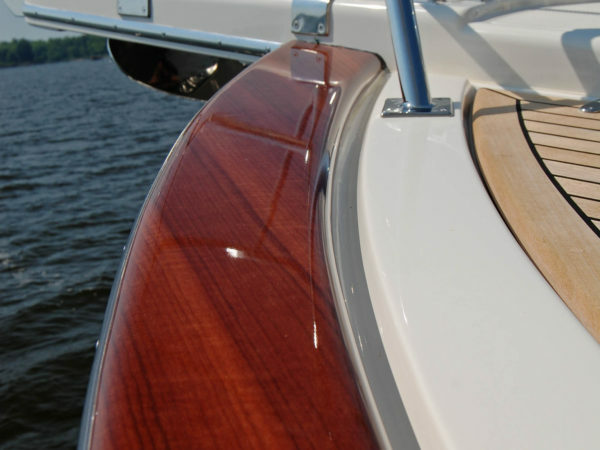 The common alias of “imitation teak” sounds cheap and we refuse to associate burrwood as such. While burrwood is a fiberglass rendition of teak, it wonderfully manages to encapsulate the tropical vibe of the wood and subsequently improves upon its faults. 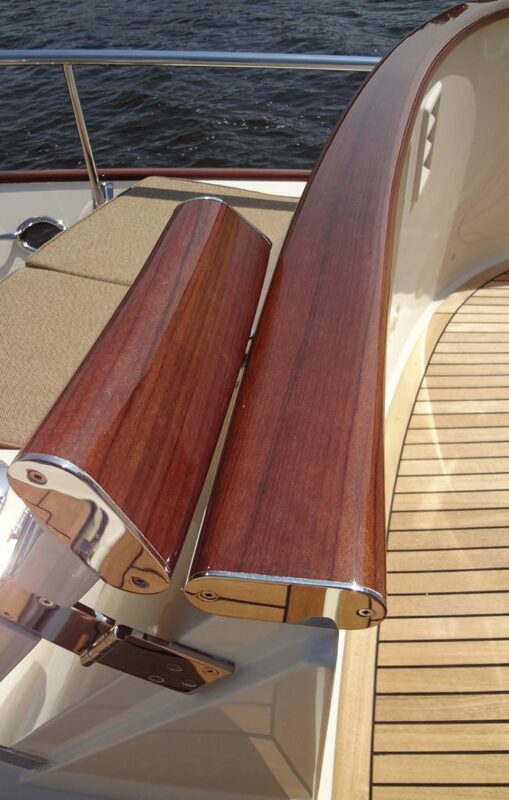 For instance, teak railings are normally chosen to be finished and protected with several coats of Bristol Finish. 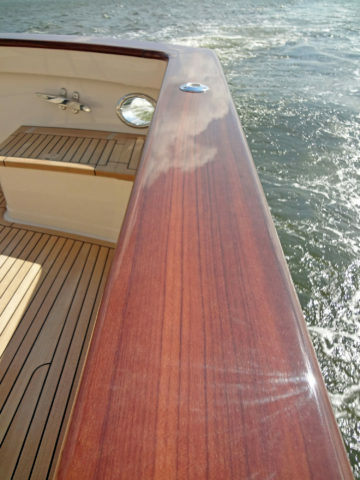 Varnished teak looks stunning and there is no denying that, however the continual maintenance and cost for such an aesthetic is less than stunning. Burrwood in this regard is easier to maintain, requiring waxing for protection that depends on your cruising environment. 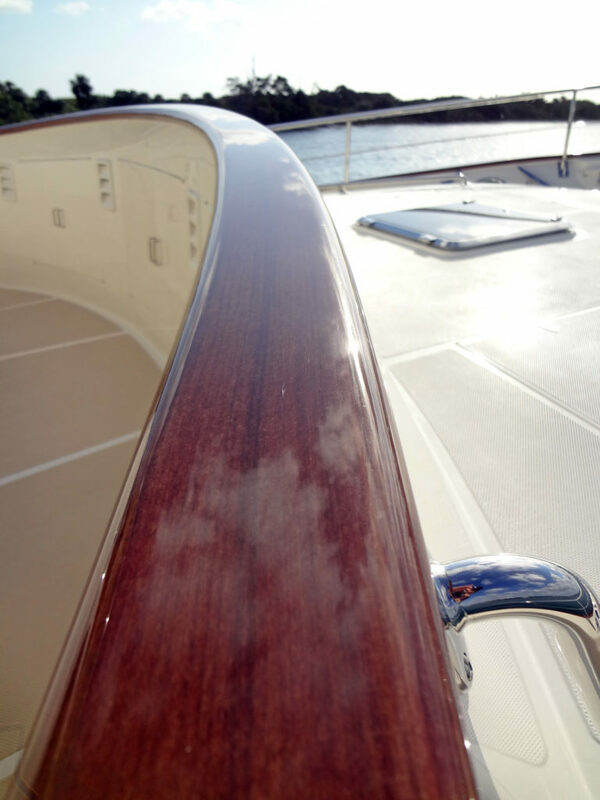 Burrwood is truly built to last while remaining attractive to the eyes, adding the same pop to your Fleming that finished teak does. True to the name, the idea and process for this technology was developed right here at Burr Yachts Sales. 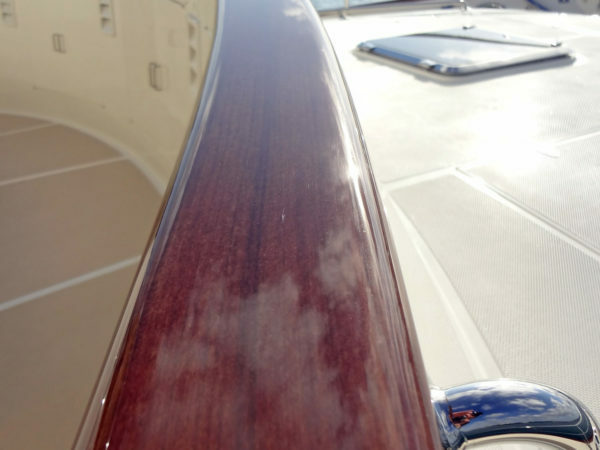 This fiberglass design is poised to revolutionize the industry much like namesake of the wood, Arthur Burr, did himself in years past. The advent of burrwood embodies one of the most eye-catching and drastic changes to the Fleming line-up in years, confirming that the Fleming brand is still evolving and is as innovative as ever.